This site is mostly the collection of essays and explanations on scripture and theology topics by Steve. Steve is a cantor at Holy Ghost Church in Mckee’s Rocks PA (Carpatho-Rusyn tradition). He recently completed his Masters degree in Theology from Duquesne University. The program is jointly administered with Saints Cyril & Methodius Seminary in Pittsburgh. The material is all from the perspective of the Byzantine Christian tradition. The focus of his studies is in scripture and Patristic exegesis. He also has a special affinity for liturgy and chant from the practices in the Carpathian Mountains. A collection of technical blogs on various aspects of network and systems administration. 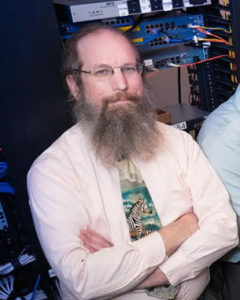 Steve is currently a Network and Security engineer but also had long stints with server, storage and web programming. I’ve enabled comments on articles that have basic content for the site. This is a mechanism for my visitors to interact with the material presented. But there are some ground rules for the interactions. As such, I consider visitors here to be in my home. Please use language that would be appropriate in a face-to-face encounter in someone’s home. I expect disagreements but don’t want rudeness. Any postings of links that have no relevance to the material under discussion or obvious ads will be removed. I’ll monitor the postings and either edit or remove comments as I see fit.